Industrial identification systems for inventory management, process control or installation and maintenance management. We have long experience of RFID tags in industrial applications and offer RFID tags, label and RFID readers that are suitable for tough environments. All of these are important components for industrial systems’ functionality and stability, which is crucial in implementing INDUSTRY 4.0 and INTERNET OF THINGS. Many customers also use RFID as a feature in an existing product, thus creating a new feature and added value. If you do not find the product you are looking for, please feel free to contact us. We have a larger range of industrial products than presented here. For outdoor use, for marking on metal, in the presence of chemicals or for environments with large temperature differences. In the US, some 40 % of all intercity freight goes by rail, including 67 % of the coal used by electric utilities to produce power. According to the American Association of Railways, in the US, railroads transport 1.7 million carloads of hazmat each year. A RFID Railway system is available from FALKEN Secure Networks in a number of configurations designed to economically meet a full range of service requirements. Reader systems provide automated tracking of railcars via RFID tags, Readers and integrated Middleware, and make railcar and locomotive identification and location information available to railroads for asset management and other purposes. update the passenger information displays at stations and terminals. systems such as track inspection systems, so that the recorded information can be automatically matched to the actual wagon, thus eliminating errors. the position when the train passes over an ID-tag. An alternative configuration would be positioning readers on poles at trackside and reading the tagged wagons as they pass. If tags are consistently positioned, for example, at the mid-point of the train, the identification of the tag would be correlated with the length of the wagon and exact speed could be determined in the software application. • The System stores tag data including time, date, train direction and speed. • It also responds to inquiries via modem and interfaces to scales, video systems and diagnostic and monitoring devices. A range of readers and ID-tags that fulfill the tough requirements of the rail industry are now available.These products are used worldwide in railway applications which require identification and positioning at high speed, with high precision and in demanding environments. environments, and in motion at high speed exceeding 260 km/hr. 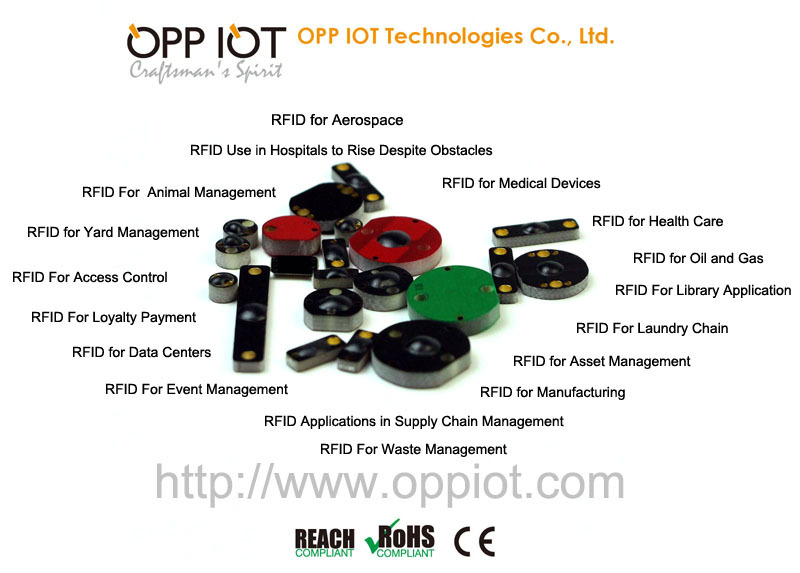 which regular UHF RFID tags and readers cannot achieve. This mission critical railway application is a perfect fit for the key differentiating strengths of IPICO. Train Configuration and Capacity Management: Simply and accurately, identifying the location and status of every piece of rolling stock, making and breaking trains, and routing cars – saving huge amounts of time and labour. Safety: Preventing trains from heading onto the wrong track at the wrong time, even in remote, offline environments. And preventing the wrong cargo from being loaded onto the wrong car – for example,loading coal onto a car that formerly held fuel. Maintenance: Management of repairs and cleaning of each engine or car, with the history housed on the RFID tag as well as on a central database. Deployment of RFID technology enables gas cylinder identification and management through the supply chain. It helps create a transparent supply chain through accurate data records. It links the assigned cylinder with its user and helps in quick and easier usage identification and billing. RFID tracking also assists in monitoring movement of cylinders. This helps in inventor optimization through better allocation of resources and with less logistical efforts. In fact, it eliminates scope for malicious intent or manual error due to carelessness. Overall, UHF tags can be used effectively to monitor, track and bill for gas cylinders quickly and accurately. RFID (Radio Frequency IDentification) is the latest technology to be used in library theft detection systems. Unlike EM (Electro-Mechanical) and RF (Radio Frequency) systems, which have been used in libraries for decades, RFID-based systems move beyond security to become tracking systems that combine security with more efficient tracking of materials throughout the library, including easier and faster charge and discharge, inventorying, and materials handling. By installing RFID readers strategically throughout your work environment and assigning RFID badges to your personnel, access to sensitive areas or specialized equipment can be controlled and monitored. Unlike conventional access control systems that use bar code or magnetic stripe technology, UHF RFID Access Control provides an easy way for users to gain access, such as simple touch and go proximity actions or a fully hands-free operation. As the system controls access to every part of your business, it is also logging usage data so that you have important information readily available for review. An increasingly popular situation where Access Control is needed is when businesses are located in large buildings that may often house a number of different companies or departments; this is where reliable and measurable Access Control is required. With entranceways of buildings and doors on different floors secured with RFID readers, employees are given RFID badges that grant them access rights unique to their company and authorization level. This provides a reliable way to control access in shared office buildings. EPCglobal is a not-for-profit joint venture set up by the Uniform Code Council, which licensed the EPC technologies developed by the Auto-ID Center, and EAN International, the bar code standards body in Europe. EPCglobal is an umbrella organization overseeing local chapters that will work with companies to encourage the adoption of EPC technologies. EPCglobal will issue EPCs to companies that subscribe to its service. EPCglobal is an umbrella organization that oversees local EPCglobal chapters. EPCglobal US is the chapter that will issue EPCs in the United States. It is a subsidiary of the Uniform Code Council. Other chapters of EPCglobal have been set up around the world. The original vision was for EPC technology to be used on all types of products, not just consumer products. Having a single numbering scheme would make it easier to track goods not just within an industry but across industries as well. Goodyear, for instance, sells tires to automakers and to Wal-Mart, and it would be better to use one numbering scheme to track all their tires. But many industries have their own numbering systems, and EPCglobal has developed a “translation engine”—a software system that converts EPCs into industry-specific numbers and back again. Many industries are moving toward adopting EPC technology, including apparel, defense, computing, electronics and pharmaceuticals. Author rfidchip_@2016Posted on December 21, 2017 Categories OPRFID TechnologiesTags EPCglobal US, What is EPCglobal?Leave a comment on What is EPCglobal? With a lot of emphasis on child safety by parents, the importance of having GPS tracking for school buses has become the need of the hour. Schools need to place the security of their students as one of their top responsibilities. The installation of a school bus tracking system is highly recommended, firstly to give parents a way to track their children and secondly, to prevent the occurrence of any malicious incidents. When the school bus is nearing the bus stop, a message is sent automatically to the parents in that area and they can come to the pickup stop on time. This saves time for both parents and children. The transport manager can use the school bus tracking system to monitor the driver to ensure he isn’t over-speeding, going off-route etc. School bus safety is as important as safety on school campus as several incidents happen only in school buses. Cameras in school buses not only prevent children from bullying one another but it also prevents the driver from allowing strangers on the bus, stealing etc. Cameras are an effective deterrent to anti-social behavior. UHF RFID tag Technology can help facilitate safety in several ways, it is time schools implemented such measures to safeguard children. Contactless RFID-cards for large metro systems and other traffic systems offer numerous benefits compared to conventional contact-based tickets. As the ticket validation is carried out without direct contact to a reader, public transportation organizations are able to realize cost-savings through reduced maintenance efforts for mechanically heavily stressed equipment in conventional, contact-based mass transportation systems. Furthermore, the ticket validation process is much quicker than manual stamping thus reducing waiting queues and offering a convenient entry process for passengers. RFID-based public transportation applications help significantly increase efficiency with several millions of passengers per day that need to be equipped with reliable and convenient access solutions. The adoption of contactless entry systems in public transportation is growing not only for high-quality access cards. Public carriers increasingly seek to improve their systems with comprehensive solutions that cover the entire range of tickets used. What industries are using metal mount tags? 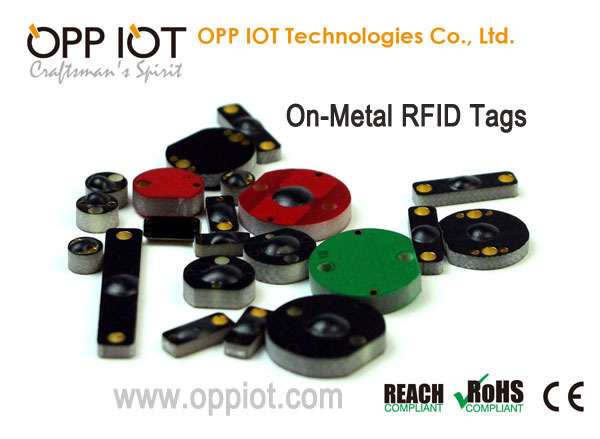 RFID on metal tags are perfect for asset and tool tracking in medical devices for healthcare, laptops & servers in IT (information technology), industrial manufacturing, oil & gas pipelines, vehicle tracking identification, and many other industry verticals. With the recent developments in RFID technology, the possible applications of metal mount RFID tags are expansive in scope. Author rfidchip_@2016Posted on December 15, 2017 Categories PVC CardLeave a comment on What industries are using metal mount tags? On-Metal passive RFID tags are designed specifically to work on metal and similar reflective surfaces (e.g. carbon composites). While on-metal tags will work when not attached directly to metal surfaces this could have a significant impact on performance. Due to recent breakthroughs tags are now being produced that work in both on-metal and non-metal applications. On-metal RFID tags are three dimensional and in most cases quite durable.